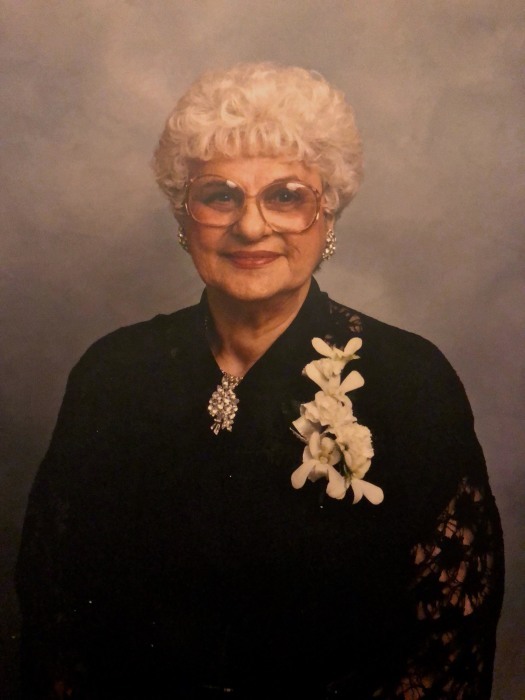 Clara L. Seets (Chiappelli),100 years old, passed away on 28th of November 2018 in Harrisburg, Illinois. Clara Seets previously lived in Waterford, Michigan. Her graveside funeral service will be held in the Spring of 2019 at a date to be announced later. Mrs. Clara L Seets was born on 30th of July, 1918 to James & Glenia Chiappelli. Clara was the oldest of 10 children, 6 preceded her in death (Elsie, Jim, Jack, Louise, Alla Jean and Nancy) and 3 survived her (Shirley Dell, David Chiappelli and Dan Chiappelli). She married Bill Seets and they raised 3 sons. Two of her sons preceded her in death, Charles A. Seets (Cathy May Seets) of Cadillac, Michigan and Ronald J. Seets (Irene Seets) of Harrisburg, Il, Clara Seets has one surviving son, Cledith Gene Seets (Nancy S. Seets d. 2011) of Waterford, Michigan. Clara Seets has 8 living grandchildren, her grandson Robin Seets preceded her in death. Clara Seets has 21 great grandchildren and 16 great great grandchildren with 2 more expected in the very near future. Clara has too many nieces, nephews, etc. to even try and list, but they were all loved by her. Clara Seets (we called her Nanny) lived a very long and full life. She was known for her love and strong faith. She will be missed by all who knew her, but we’re thankful she’s in heaven celebrating with her family and friends who went before her.